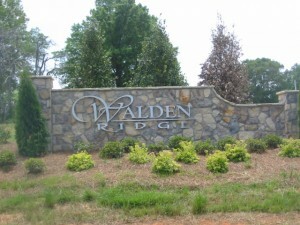 Walden Ridge is a custom home community located just minutes from downtown Mooresville, North Carolina. This neighborhood offers large lots with floor plans ranging from 3,100 to 8,000 square feet. The list of Builders includes Mid-Atlantic Custom Homes, Shoreline Luxury Homes, Shaw Custom Builders, Pointe Construction and Seger Builders. Prices range from the $400k’s to$1M.